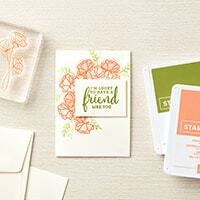 I’m just loving the new Share What You Love suite of goodies! We got to play with these at OnStage last month and I was hooked. If you love pearls, you’ll love the pearlized finish on the Specialty Designer Series Paper, Artisan Pearl embellishments and Pearlized Doilies! 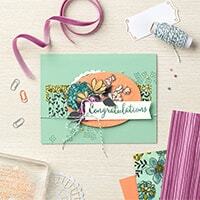 All a nod to Stampin’ Up!’s 30th Anniversary (the traditional gift is pearls:). Add a touch of Velvet Ribbon on a Mint Macaron card base (a returning color) and *sigh* – this beautiful (and easy) Share What You Love friend card is made! All of the above goodies are found in Share What You Love Bundle #3 ‘Gotta Have It All’ on sale now through May 31st! This bundle includes three FREEbies: the exclusive ‘Statement of My Heart’ stamp (only available in this bundle during May), 40 Medium Envelopes and the coordinating Embellishment Kit. Check out the full details along with the other early release bundles HERE. Hope this gives you a little ‘ink’spiration for your creative day! I had fun making this Share What You Love friend card and hope you will, too. 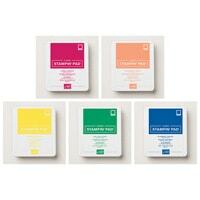 Join me Friday to see the newly re-designed Classic Stampin’ Pads in action with a current vs. new comparison. Share What You Love Bundles Early Release Starts Tomorrow!